Nico Kos Earle is an Independent Curator, Creative Director and a Freelance Writer. 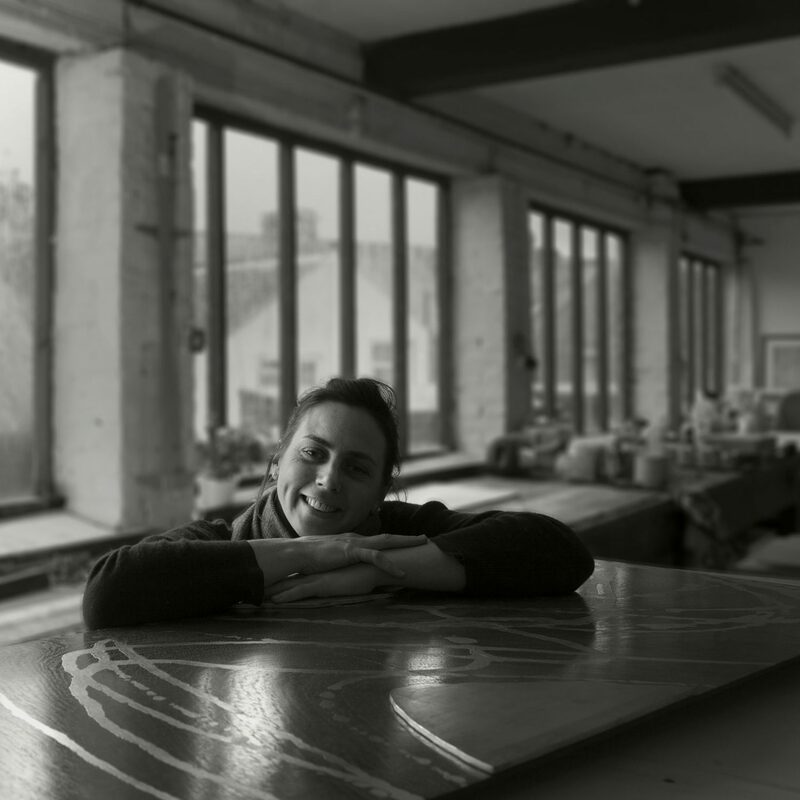 She is curating the forthcoming exhibition SURFACE at JGM Gallery, 24 Howie Street, London SW11 4AY, which I am one of the eight exhibiting artists. The exhibition runs from 7th June – 21st July 2018. Nico has been an enormous support and champion of my work for over a year now and I am extremely grateful to her for her faith in me and her uncompromising discerning eye. Katharine Beaugié is a light artist, in the sense that she captures or manipulates light sources to create her images. Working mostly in monochrome, with the exception of gold leaf used for its reflective qualities, Katharine has developed an ongoing series of photograms (a camera-less photo of the shadow of an object) and contact prints from these (which take the exact opposite light structure). What distinguishes the photogram is that it is raw light capture, not representational like a photograph. 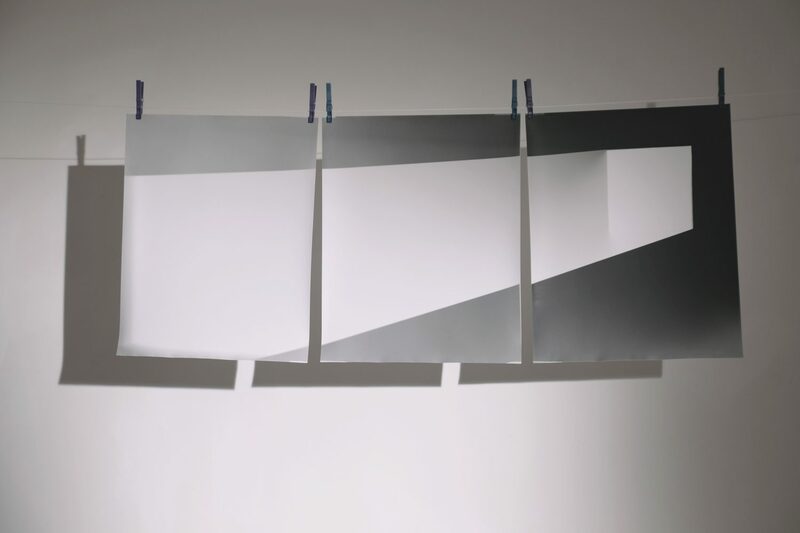 Bouncing light off surfaces creates negative space: the photosensitive paper turns black on contact with light, shadows become white. 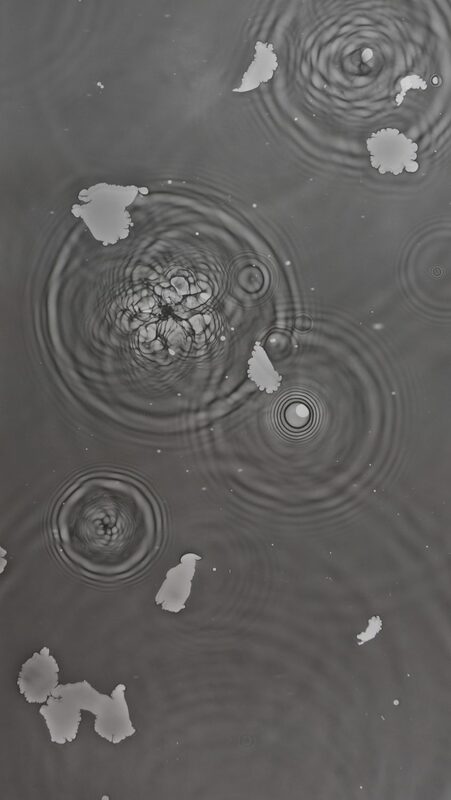 Using the surface of water, she captures the outline of floating objects or the interplay of concentric circles – the images are the delicate and ethereal shadows of real life. 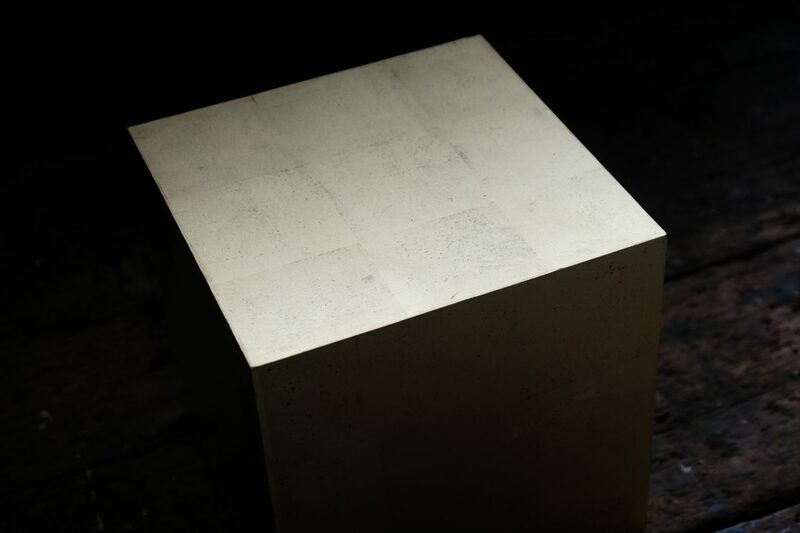 Others are made through a process that is more in line with the language of sculpture: light is cast against three dimensional objects, like her signature, hand made gold leaf cubes. 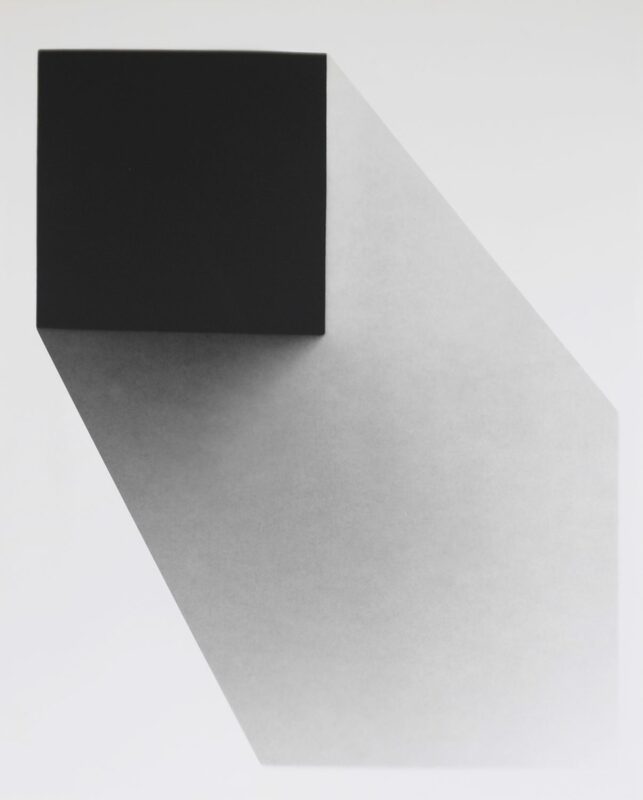 This resulting works contain stark geometric forms that convey an immediate, non illusionistic presence. 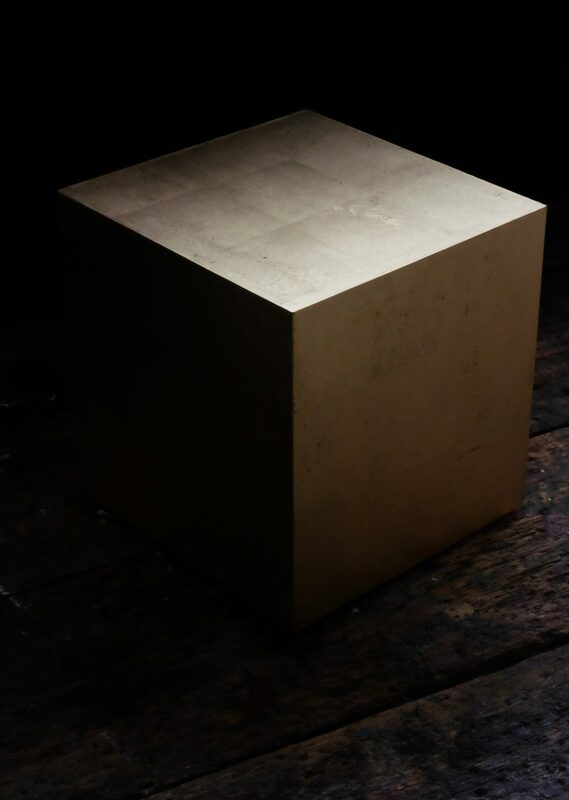 It is the actual shadow of a gold cube, recorded by a flash of light onto light sensitive fibres of paper. Her process is intentionally disengaged from digital; it is analogue, the unrepeatable, the unique. Piles of discarded attempts in her studio indicate a time consuming process of repetition, punctuated by the sudden flash of an image that coalesces. For Katharine, this comes down to alignment: the distance at which you shoot the flash determines the trajectory of light, which is how the shadow is created. “I really feel that our relationship to light is about our alignment to light. You can understand this relationship with the ancient, astroarchaeology works like Stonehenge, and feel it in the works of Turrell; the placement of objects in relationship to the cycle of the sun as it moves across the sky, can enhance our awareness of alignment and our subsequent place within the universe.” This idea of alignment touches on our primordial, primitive relationship to the sun. We need light, and are deeply sensitive to it, but cannot control its source. It controls us; we turn towards it, and live between this light and it’s shadows. The new work looks great!